I'm obsessed with graphic novels and picture books for kids ... I think I'm slightly jealous that no such thing existed back when I walked to school uphill both ways in the snow pushing a lawnmower. Really, I'm excited because books that use cartoon panels or a diary-with-drawings format are deceptively simple, but unbelievably powerful. The first graphic novels I ever read were Art Spiegelman's two part Maus series, considered a classic of the genre, during a class on the Holocaust in college. I was immediately intrigued. Who knew that history could be told so poignantly and painfully through a medium like cartoons? Sometimes, adults stick their noses up at graphic novels and picture books, because they think they're not "challenging enough." Too bad they don't know that graphics are able to draw in so, so many kids who would not pick up a book otherwise, and start them down the path to lifelong readership. Graphics are perfect for reluctant readers!!! They also tend to, by their nature, appeal to a wider age of readers than standard novels and picture books, which makes them even more appealing. And, as I mentioned above, they can be used to teach non-fiction, like social studies and science. They can also uniquely convey a kid narrator's voice much more genuinely than prose. Think about how much fictional middle schooler Greg's stick drawings contribute to his authenticity in Diary of a Wimpy Kid, which I wrote about here. I've gathered a list of my favorite graphic novels and picture books for kids across the age span, from preschoolers to high schoolers. (And really, those that are listed as 12 and up are just as appealing to adults. For that matter, so are the ones that I've recommended for ages 4 to 6.) I'm going to break the list up into three separate blog posts, because it's a big bunch of books (about 40). But if you prefer, click here or on the image at the beginning of this post to see the all books on Pinterest (you don't have to have an account). Little Mouse Gets Ready: Toon Books Level 1 by Jeff Smith: Toon Books are awesome for beginning/emergent readers! There are so many amazing graphics for this age from Toon. Check them out here. There Is a Bird On Your Head! (An Elephant and Piggie Book) by Mo Willems: Willems is pure genius, and he's taken the emerging/beginning reader world by storm with this series! Multiple awards. The Red Book (Caldecott Honor book) by Barbara Lehman: All about magic and imagination! Genius in its deceptive simplicity. Benny and Penny in the Big No-No! : Toon Books Level 2 by Geoffrey Hayes: Another wonderful series from Toon. 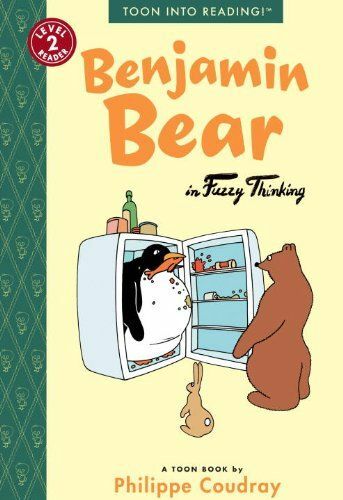 Benjamin Bear in Fuzzy Thinking: Toon Books Level 2 by Philippe Coudray: This series, translated from the French is simply hilarious, visual fun. Excellent physical comedy. Owly, Vol. 1: The Way Home & The Bittersweet Summer by Andy Runton: Another excellent example of a graphic that appears simple, but is so much more. Nearly wordless series. Nursery Rhyme Comics: 50 Timeless Rhymes from 50 Celebrated Cartoonists by Various Authors: Graphic retelling brings life to classic Mother Goose. Come back later this week for recommended graphics for kids ages 7-10! 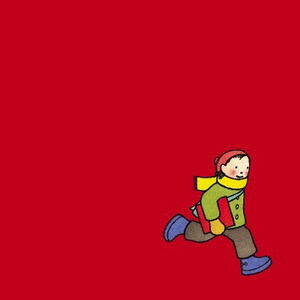 Follow Rebecca's board Great graphic novels for kids on Pinterest.